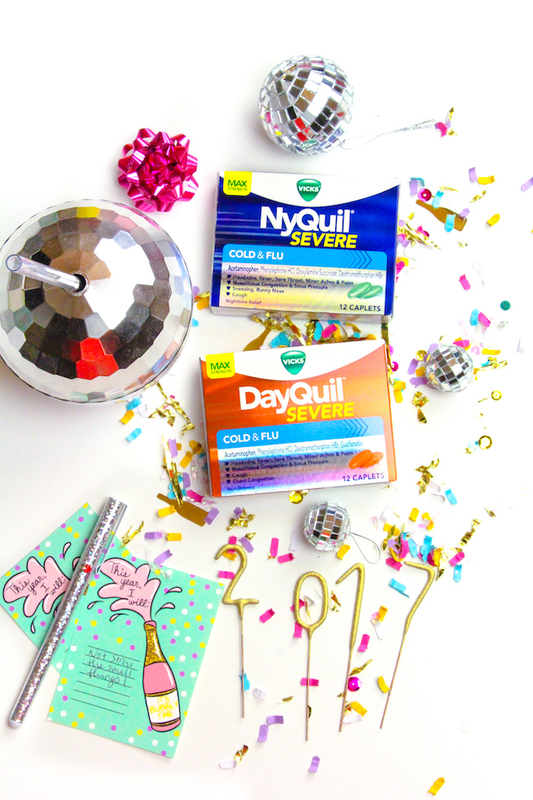 Can you believe it’s almost the new year?! This year just flew by. With the holidays and New Years, we should take the time to really celebrate life and all their is to look forward to in the new year. I firmly believe life should be lived to the fullest and every memorable moment in your life is one you don’t want to skip due to a sick day. Who has time for sick days?! 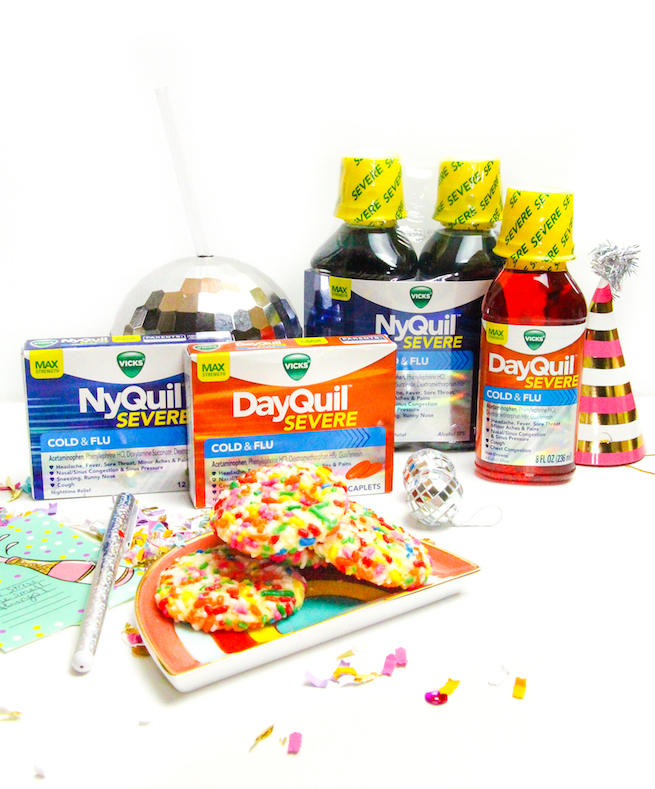 Thanks to DayQuil, I can power through the day when I’m feeling under the weather. And I can have a good nights rest, when I’m sick with NyQuil as well. My life is about enjoying every moment and embracing the adventure each day brings. So…I’m thankful DayQuil allows me to keep my edge when I have a cold. 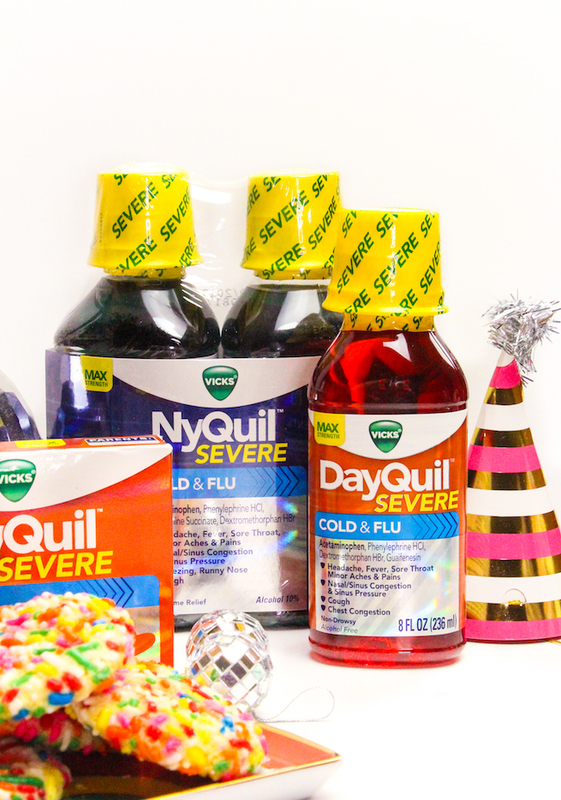 DayQuil is the non-drowsy, coughing, aching, fever, sore throat, stuffy head, no sick days medicine. NyQuil provides amazing night time relief. I usually use both during those inconvenient times, so I can get back to enjoying those fun moments with friends and family as soon as possible. They come in caplets and in liquid form. If I’m really under the weather, I’ll use the liquid and if I’m not so bad, I’ll use the caplets. Either one works wonders so I can get back to baking and eating amazing cookies. And playing in the snow with fun snow tubes like this candy snow tube. Playing in the snow is one of my favorite things to do in the winter. 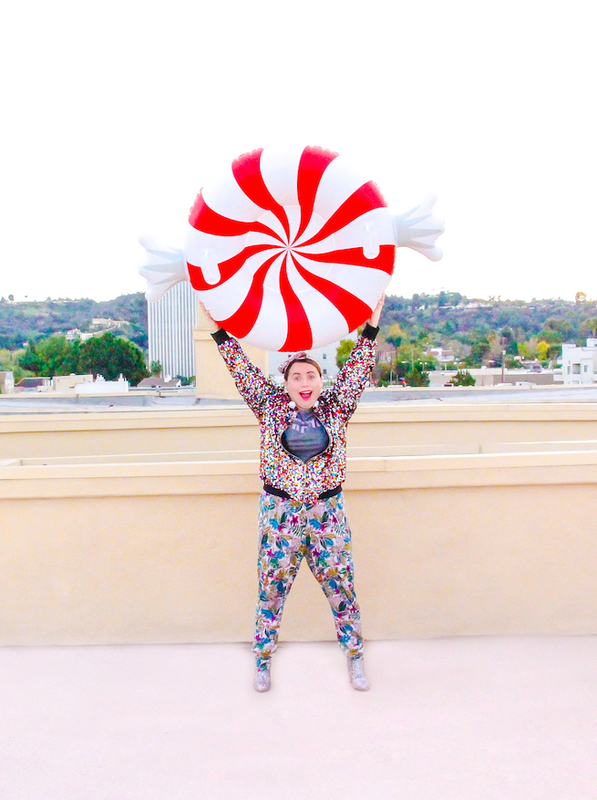 There are so many fun and amazing moments to embrace during the holidays. You don’t want to miss any one of them being sick! What are some of your unmissable moments? 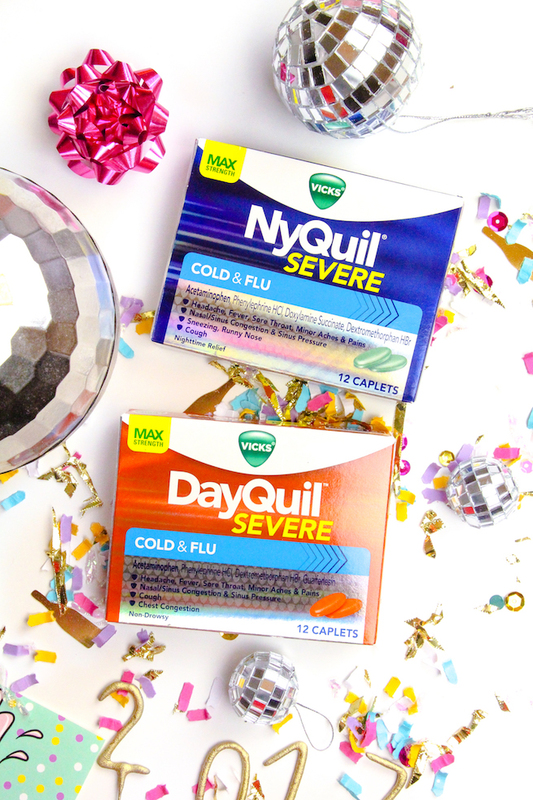 Share your photos of your unmissable moments with @NyQuilDayQuil using #NoSickDaysSweepstakes on Instagram and Twitter for a chance to win a Canon Rebel T5 camera and a Vicks product prize pack. See the official rules and details here: http://http://spr.ly/NoSickDaysRules. 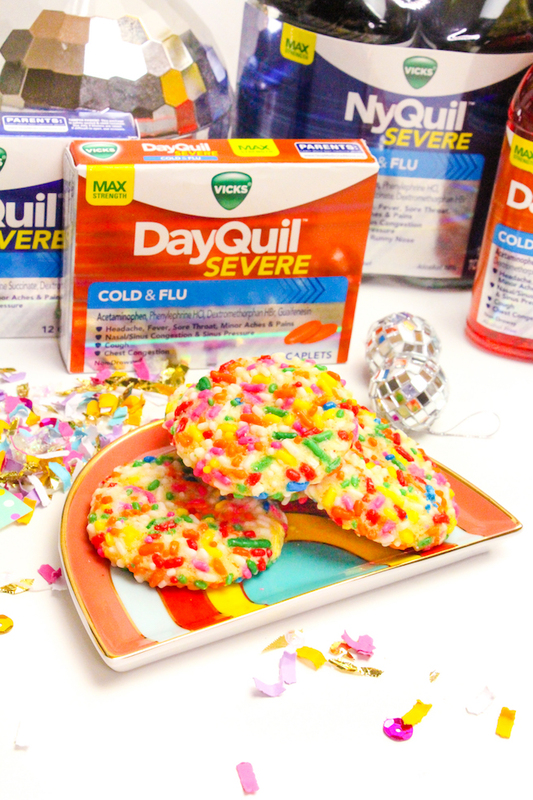 Don’t miss out on the things you love and can’t miss by taking DayQuil to relieve your worst cold symptoms! 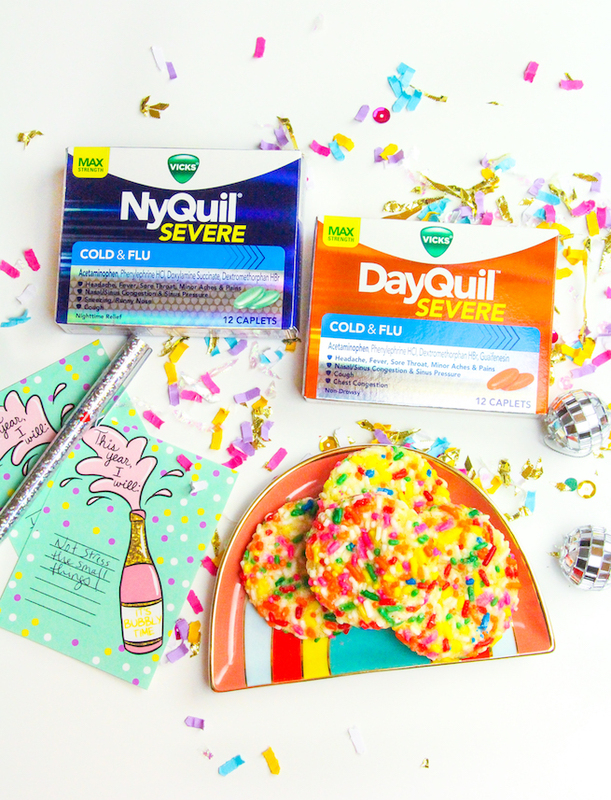 This post was sponsored by Vicks NyQuil and DayQuil. All thoughts, experiences and opinions with this product are that of my own. 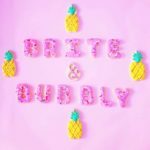 Thanks for supporting the brands that help keep this Brite & Bubbly party going! 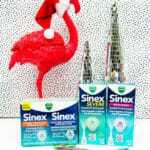 Keeping My Head Clear For The Holidays + A Giveaway-Closed! 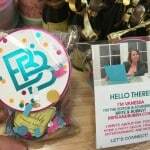 PLEASE SUPPORT MY BLOG BY VOTING! Thanks for share Have Some Winter Fun and Unmissable Moments!